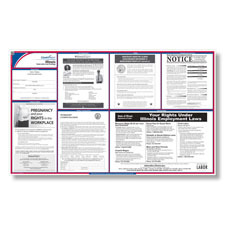 One simple poster is all it takes to stay in compliance with the state of Illinois' posting requirements. 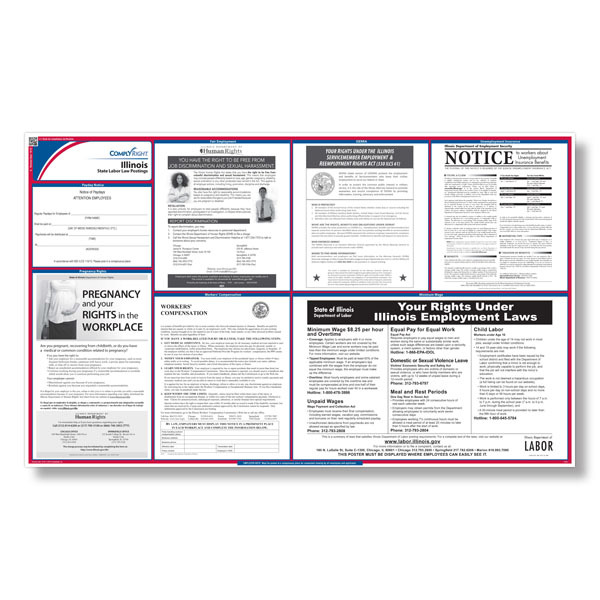 ComplyRight's all-in-one poster solution includes the required posters for Illinois, including the Minimum Wage poster, Workers' Compensation, Unemployment Insurance and the No Smoking poster. Poster size - 39.5" x 24"